If the efforts by the single members to change the local voting system to one man, one vote are successful, this could be a major turning point in the country’s history. If Ezzard Miller and Arden McLean manage to get 25% of the electorate to sign their petition, the government will be forced to initiate the referendum, no matter how much the premier may be against single member constituencies. Not only will this represent the power the people have in this constitutional provision but it is likely to change local politics forever. Assuming the two MLAs can achieve the crucial 3,800 or so signatures from registered voters to trigger the constitutionally provided people’s referendum, they are very likely to win what would be a secret ballot. If they win, then the government will be bound by its outcome and the May 2013 elections will be held under a system that was directly and democratically willed by the people. It will also provide an entirely unpredictable new political landscape for the election. Under the current system there is inevitability about some district results, which don’t need to be spelt out as they are quite obvious. However, the results of a national election conducted for the first time on the democratic principle of one man or member and one vote would not be so easy to predict. It would also make for a very interesting campaign as each and every one of the politicians standing for a seat would need to prove their mettle. There would be no more coat tail wins on the back of the premier or the opposition leader. The voters would know exactly who would represent them in parliament and there would be no more distribution of representational responsibility. The accountability that the new single members would face is likely to form a key part of the election campaign under the one man, one vote and the voters would be expecting every candidate, not just party or group leaders, to prove their political prowess on the hustings, which may prove too much for some. Skeptics who dismiss the MLAs' efforts and believe the public won’t support the principle may soon be very surprised because the tide has turned. The rather feeble arguments about fire stations and hurricane shelters in all 18 districts or the idea that having lots of MLAs to go to gives better representation have long since been lost. Where they had lingered, the government’s decision to dismiss the findings of its own Electoral Boundary Commission’s advice and increase the George Town MLA allocation to six has helped many undecided to decide. The inequality of one person in East End having just on vote to cast to influence their government compared to the six the capital’s voters will have if the premier gets his way is obvious to even the most politically naïve. A chamber poll on the subject returned an 80% result in favour of single member constituencies, a straw poll on CNS also resulted in more than 80 percent favouring one man one vote and other local polls and surveys have revealed widespread support for one man, one vote. The boundary commission found in its work that at every public meeting it held the majority of attendees were in favour and they were quick to point out in their report that adding two seats to George Town and one to Bodden Town to accommodate the increase in the size of the Legislative Assembly in accordance with the constitution was certainly not without its problems. This proposed extreme inequality may well be the key issue that rings the death knell for multi-member constituency and opens up an entirely new era in Caymanian politics. It seems fitting that if the petition is successful, and the chances are very high, the people could achieve this democratic milestone via an already enshrined democratic principle in the constitution — the people’s referendum. (Go Jamaica): The Jamaican Government says it has started initial discussions regarding Jamaica’s transition to republican status. Minister with responsibility for Information, Sandrea Falconer, made the disclosure at yesterday’s post-Cabinet press briefing.She said the talks are being led by the Ministry of Justice and the Attorney General’s Department, spearheaded by a Ministerial Committee. The team is expected to make recommendations to Cabinet before talks with the Opposition begin.Meanwhile, the Ministerial Committee is also spearheading discussions for the Caribbean Court of Justice to become Jamaica’s final court of appeal. 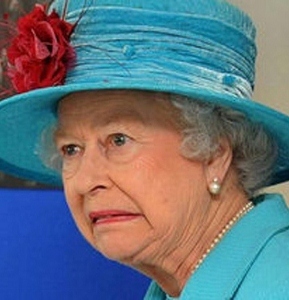 The government has repeatedly stated its intention to cut ties with the British Monarchy. (CNS): A 56-year-old man who was visiting the Cayman Islands on a cruise ship died yesterday afternoon in the area of Coral Gardens in the North Sound. The visitor was found floating on the water by people on a boat in the area, the police reported. The RCIPS said that shortly before mid-day Wednesday 15 February the emergency services received a report that the man was unconscious and unresponsive after the people on board the boat had lifted him onto their vessel and attempted CPR. The Joint Marine Unit vessel Tornado attended the location and transported the man to the Yacht Club, where paramedics were standing-by. 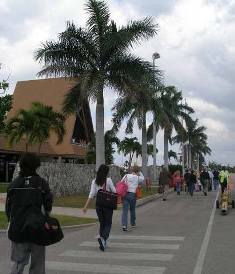 The visitor was taken to the Cayman Islands Hospital in George Town, but was found tobe dead on arrival. Police said that enquiries into the circumstances surrounding the incident are ongoing and further details will be made available in due course. (CNS):Visitors can look forward to a great day out next Wednesday organisers of the 45th Annual Agriculture Show said. The Ash Wednesday show at the Agriculture Pavilion in Lower Valley, is the oldest and the biggest one day event in the Cayman Islands and Cayman Islands Agriculture Society president Errol Watler said everyone was keen to be there. All participating farmers will be bringing out their best livestock and crops to display or sell. Art and craft, and of course, a variety of local foods will be on sale. The show begins at 7:00 a.m. and the entertainment from rodeos to cooking contests will run all day. Following the official opening at 9am there will be a host of activities throughout the day, including the farmer’s interactive tent that gives members of the public a chance to ask farmers tips on crops, the best fertilizers for different types of soil and what’s new in the farming community. “Just about everybody in the agriculture business is eager to be here. This is going to be a very exciting show,” said Watler. Juliana O’Connor-Connolly, the minister responsible for Agriculture, encouraged the public to support the show. “It is all about everyone working in harmony to achieve a product that is sustainable and beneficial to the islands, its economy and people and the farming community. The farmers and the public come to see who will get bragging rights and we must all work together to move agriculture forward,” she stated. There will a rodeo, petting zoo and a cooking competition hosted by the Youth Services Unit. 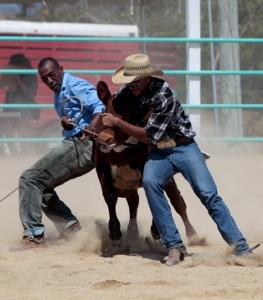 The rodeo will be hosted by the Wrangler’s Association and starts at 12:00 noon with a host of events, including barrel races, team penning, pole bending, flag races and calf roping. Children will also be able to participate in sack races and pony rides, said Shanna Pandohie who organises the rodeo portion of the show. Entertainers are JR Douglas and Impulse Bands, Gospel Explosion, the Cayman Islands Marching Band and Gideon Pathfinder Drill Demonstration and Drum Corp. The beautiful baby contest will begin at 11:00 a.m. Already there are 10 registered entrants for the contest, which will feature four age groups: 10-18 months; 19- 24 months; 25-36 months and 37-48 months. In addition to the title prize of Most Beautiful Baby, entrants will compete for the Best Smile and Personality titles. One of the new features this year is the Youth Service Cooking Competition, which starts at 11:30 a.m. The public will be able to watch eight students who have been coached by some of Cayman Islands top chefs. The cooking competition is the culminating event of a four-year culinary programme which aims to prepare high school students for careers in the culinary field. Tickets for the show cost $25, which includes entry into the raffle, with a grand prize of $20,000. General admission tickets are $10 for adults and $5 for children aged two to 12 years. Tickets outlets are Funky Tangs, Rembley Reid and Audley Williams of A.L. Thompson’s, Agriculture Society members, Seymour’s Jerk Chicken, Welly’s Cool Spot, Blue Marlin Restaurant Meringue Town and Cayman Coating. Visit our website at www.cias.ky for more information. Like us on Facebook at Cayman Agriculture. (CNS): The revelation that some of Cayman’s most sensitive cave systems are to be developed into a tourist attraction has caused considerable alarm, and it also appears that the developer does not have planning permission for the work he has started at the site. Pictures circulating online this week showing heavy machinery in one of the North Side caves raised a number of questions as neither the National Trust or the Department of Environment have been consulted about the clearance work which appears to have started on an as yet undisclosed project. The director of planning told CNS yesterday that the department had been informed about the work and was now making enquiries at the site. “We have become aware of this situation and a compliance officer has been dispatched to investigate. I am awaiting his report to determine a future course of action,” Haroon Pandohie stated via e-mail in response to CNS enquiries. The National Trust has also confirmed that, despite being an immediate neighbour to the property the land owner intends to develop, it has not been informed about the planned project. At the time of issuing a statement yesterday afternoon the National Trust for the Cayman Islands said it had not received any notification from the Department of Planning regarding the North Side property where the caves which appear to be under development are located. “The Trust expects to have received such notification prior to the commencement of any form of development given that the Trust’s Mastic Reserve is adjacent to this property, and landowners are legally required to notify adjacent property owners of their intent to develop their property,” the Trust stated. “Two of these species are considered quite rare, and are verysusceptible to disturbance by the presence of humans. For this reason, among others, these caves have been recognized as an environmentally sensitive area,” the Trust said. “One of the first objectives in any plan for protecting a sensitive natural area is to identify stakeholders in order to seek their input. As a key stakeholder, the National Trust has not been approached regarding the recent undertakings and is not aware of any other stakeholders who have been contacted. “Although at present Environmental Impact Assessments are not legally required for the development of any environmentally sensitive area in the Cayman Islands, such assessments are accepted as best practice in the vast majority of developed countries. Such an Assessment will objectively rate the value of the unmodified site as compared with the value of proposed enhancements to accurately inform the development process along with the relevant stakeholders,” the National Trust added. The Department of the Environment also appears to have been left in the dark over the cave plans. Gina Ebanks-Petrie, the department’s director, told CNS that the DoE met with the developer of the proposed attraction a few years ago and advised him to take a low-impact, environmentally sensitive approach to the development of the site. “In relation to the current activity on the site, the DoE has not been requested for input on any planning application seeking approval for the access road or the excavation that has apparently taken place in the caves,” she added. 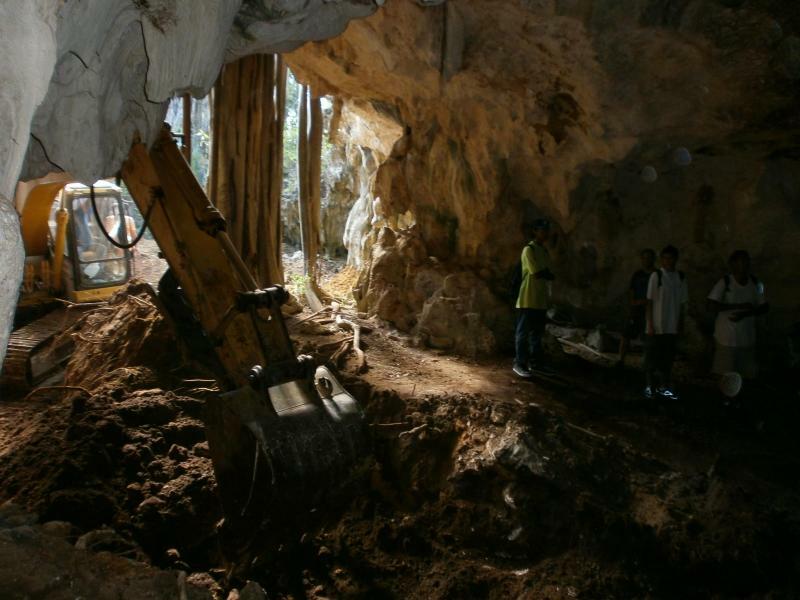 Ebanks-Petrie sent a memo to the chief officer in the financial services department almost two years ago after the department had received a project proposal from Crystal Caves to develop a natural tourism attraction and forest preserve. in it the DoE noted a number of concerns, in particular the sensitivity of caves to disturbance from visitors. It advised the developer to establish a maximum visitor number that the cave system could sustain rather than financial based targets of visitor numbers, which the DoE said were not only overly optimistic but unsustainable. The DoE was also concerned about the developer’s proposal to put in a 30 foot road, which the department advised against and asked him to consider a far narrower road that ended some distance from the caves which visitors would then access via a pathway. It is not clear exactly what the developer, Christian Soresen, has in mind for the project though he dismissed accusations that he planned to develop a nightclub, bar or restaurant at the site in an interview Wednesday evening with Cayman27. However, Soresen had applied for a liquor license for the caves during the moratorium on licenses in January last year but the board has not yet responded to CNS enquiries to state whether or not the license was approved. With no national conservation law on the books, the only legal sanction to prevent the land owner from developing these caves are the planning laws. There is no requirement in law for him to develop in a way which would fit with the internationally accepted description of eco-tourism, which seeks not to disturb but sustain and support the environment in its natural state. 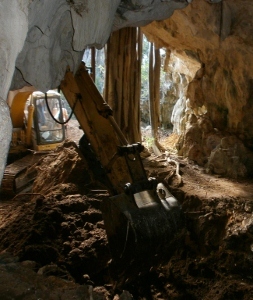 The excavation work in the caves may, according to some experts, already have destabilized the sensitive eco-systems and affected the bats that call the caves home. The Cayman Islands indigenous and native bats are all at risk and none of them are protect in law. However the National Trust Bat Conservation Programme and its volunteers works tirelessly to try and protect these incredible animals and offers a wealth of expertise on the various species, their natural habitats and unique biodiversity of the areas where they roost. Go to www.nationaltrust.org.ky/environment/bats for more information. (CNS): Arden McLean and Ezzard Miller say then are confident of getting at least twenty-five percent of the country's electorate to sign their petition for a referendum on changing Cayman's voting system to single member constituencies. 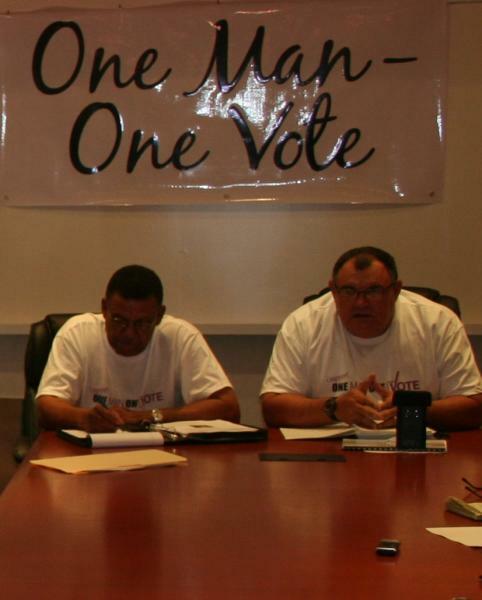 The two MLAs said at the official launch of the petition that their goal was to get 5,000 signatures from registered voters to support the call for government to adopt the Boundary Commission recommendations of 18 constituencies across the Cayman Islands. Miller and McLean have set November as the target date for the people-led referendum, leaving government enough time to conduct the 2013 general election in accordance with the result of that national ballot, which they say will be one man, one vote. “We believe it is time that the whole islands have some form of equality,” Ezzard Miller stated at a press briefing on Wednesday as he explained that the introduction of the three extra seats at the next election would create an even greater democratic injustice across the islands when it comes to influencing government. Government has selected the option which its own commission, which pointed to the obvious inequality and extraordinary influence it would give voters in the capital. Nevertheless, government means to add two seats to Goerge Town and one to Bodden Town before the 2013 May election, giving voters in the capital six times more influence on the result than voters in the two single member constituencies. Although Miller’s efforts to introduce single member constituencies through parliament have been thwarted on a number of occasion, the mounting evidence from the work of the commission, various straw polls and surveys is pointing to greater than ever support for one man, one vote, which may be down to his efforts in the Legislative Assembly. Given that government does not take this view, both he and McLean have changed tack and are now focusing on the referendum and believe they will get much more than the 3,795 signatures they need from the electorate to trigger the referendum and go on to win that ballot. The constitution provides for a people-initiated referendum, which requires 25% or more of the electorate to support the referendum and force the hand of government to hold that vote within a reasonable time frame. Joined by a group of more than a dozen local business representatives at the launch, the MLAs said they had recruited another two dozen people who will be going to the doors of registered voters with the petition books to ask people to sign. They will also be at a number of strategic locations across the islands over the six week campaign set aside to collect the necessary signatures. The goal is to have the petition in the hands of Cabinet by the first week of April, giving government eight months to prepare for the referendum. Miller said lessons were learned from the fate of the petition collected by the various activist groups in West Bay regarding the proposed road closure and as a result every signature will be supported by photo ID and carry the voter’s election number. The petition simply asks potential signers if they support a referendum to ask the electorate if they want single member constituencies as set out in boundary commission report. “It is very clear and deliberate,” Miller said. The members explained that the 18 constituencies across the three islands have already been identified and marked and are currently set out under the polling districts. As a result, the MLAs say there will be no difficulty changing to the more democratic system before 2013. “The election’s office could conduct an election tomorrow with single member constituencies as the work has already been done,” Miller stated. Arden McLean said the principle was not about party politics or specific politicians but empowering the people to choose and hold their representatives accountable. He said there was no equality in the current system and it would get worse if the government is allowed to go ahead and adopt the proposal to add seats to existing multi-member districts. “The time has come for Cayman to move its democracy forward; it’s time for equality,” McLean said as he warned that politicians would no longer be able to hide. The cost of conducting a referendum is estimated to be about $250,000, which given its significance for the future of democracy was a price worth paying, the MLAs agreed.